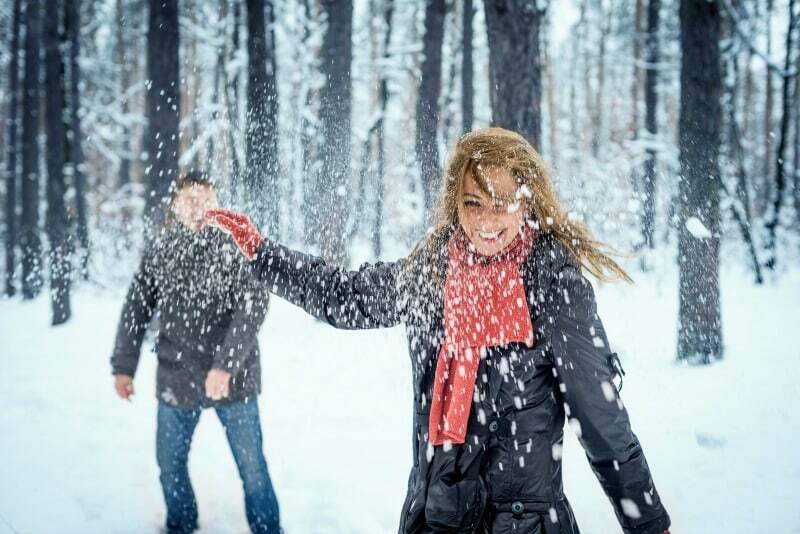 Celebrating St. Patrick’s Day at a crowded city bar is always one festive option, but if you’re looking for something different, take a romantic getaway to our boutique Adirondack hotel. 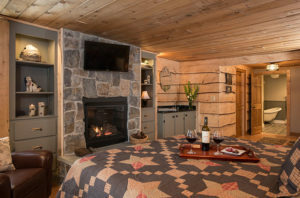 Enjoy our rustic yet elegant rooms, great dining, and acres of trails for skiing and snow shoeing. Enjoy the last days of winter at our Adirondack resort while taking in some Irish cultural at nearby Lake George events and in our taproom. Join the historic village of Lake George for its annual Sham “Rock” the Block St. Patrick’s Day celebration on Saturday, March 14th and Sunday, March 15th. This free two-day block party will feature live music, Celtic games, traditional Irish food and drinks, artisan crafts, and kid’s activities. On Sunday, head to Canada Street at noon for the St. Patrick’s Day parade and show off your Irish spirit—no matter whether you’re Irish or not. Lake George, located at the base of the Adirondacks and a beloved tourist town since the 19th century, has attractions to keep you occupied before and after the St. Patrick’s Day festivities. In Lake George, you’ll find boutique and outlet shopping for clothes, crafts, and more. The village is also renowned for the art galleries that display works by local artists and artisans. Just outside the village, there are plenty of trails for hours of Adirondack skiing. And it goes without saying that the beautiful view of Lake George itself, the “Queen of American Lakes,” is not to be missed in late winter. Whether you’re visiting for the St. Patrick’s Day bash, for the ambience of Lake George, or both, a trip to this village is romantic and charmingly, quintessentially Adirondack. Not free on St. Patrick’s Day weekend? We would be delighted to host you during our Adirondack Brewery Beer Dinner on Friday, February 27, 2015. While not necessarily St. Patrick’s Day-themed, this four-course gourmet dinner is a sophisticated way to pay tribute to the traditional drinks of St. Patrick’s Day celebrations. 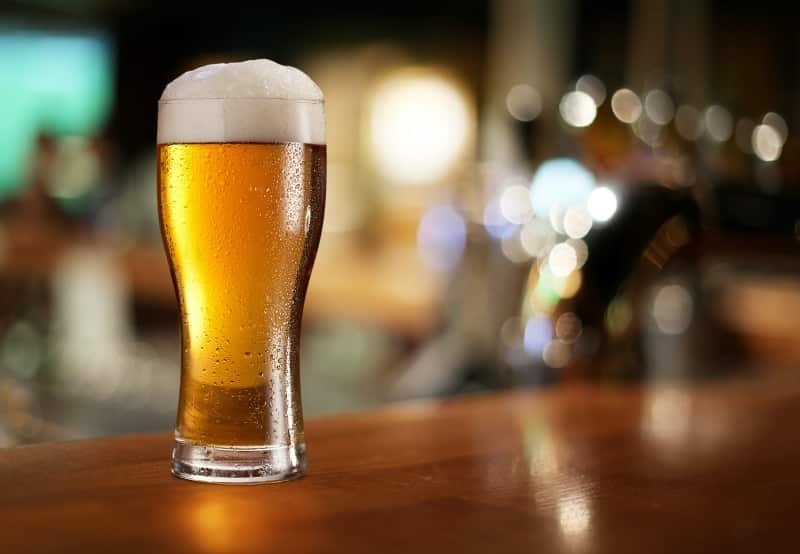 It is also the perfect opportunity to sample the seasonal best of local gem Adirondack Brewery, a Lake George microbrewery that specializes in hand-crafted beer. Can’t make the February Beer Dinner? No problem, join us for the Founders Brewery Beer Dinner May 1. The dinner, hosted by an Adirondack Brewery Brewmeister, will feature cuisine from our award-winning kitchen, casual commentary on the beer and food pairings, and the fine company of your fellow Friends Lake Inn guests. If you’re already enticed by the menu, we have more good news: this special dinner is only $60 per person, so make your reservations quickly at 518-494-4751. Browse our selection of lodging in Adirondack, Lodge, and Luxury rooms, and peruse our winter packages to see which appeals to you. Don’t see the perfect package? Our reservation specialist at 518-494-4751, will be happy to help craft one for you. 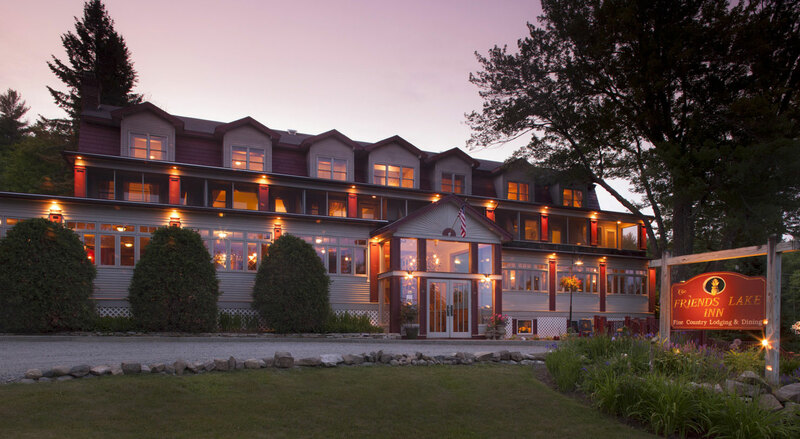 What do you find most romantic about Lake George, the Adirondacks, or Friends Lake Inn? How do you plan to enjoy the Adirondacks before winter ends? What does “kiss me, I’m Irish” mean to you? Let us know in the comments or on our Facebook page.